The only baby bath you’ll ever need! 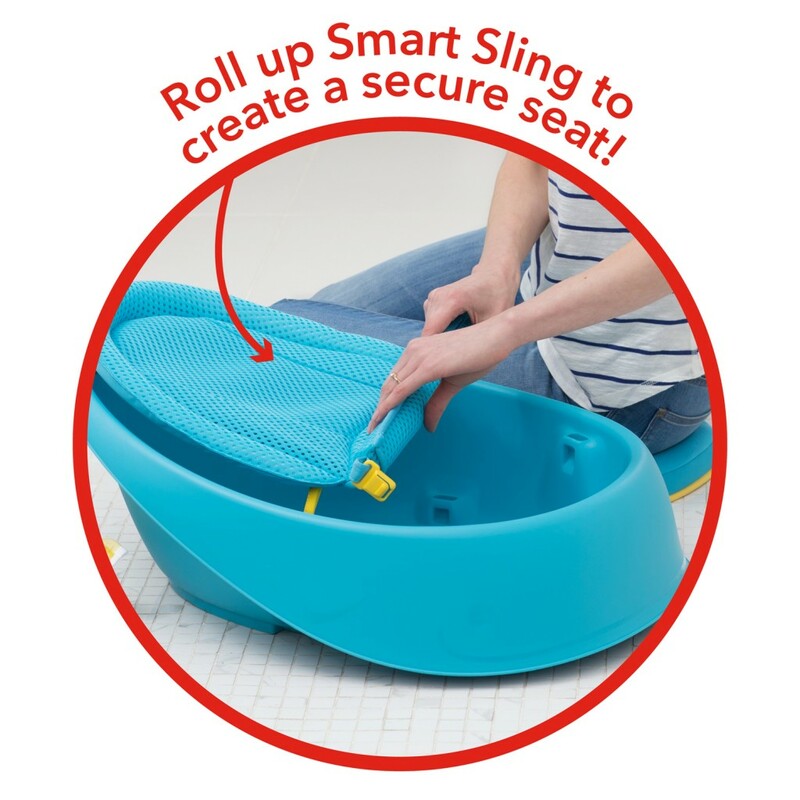 The Moby Smart Sling 3-Stage Bathtub from Skip Hop can be adapted to grow with baby from birth through to 12kgs. The Mesh Smart Sling provides Comfort-Edge support for your growing youngster and locks into two ergonomic positions. The upper position offers head-to-toe newborn support and is suitable up to approx. 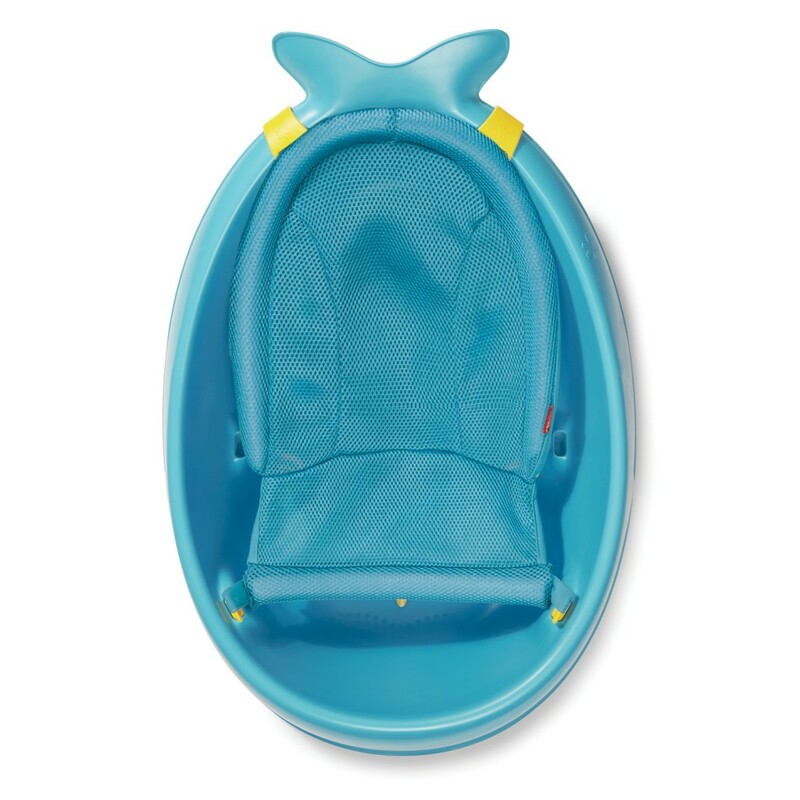 3 months, whereas the lower position offers cushioned seating support for infants learning how to sit and is suitable up to 6 months. For older babies, the sling can be removed completely once baby can sit upright and is suitable up to 12kg. 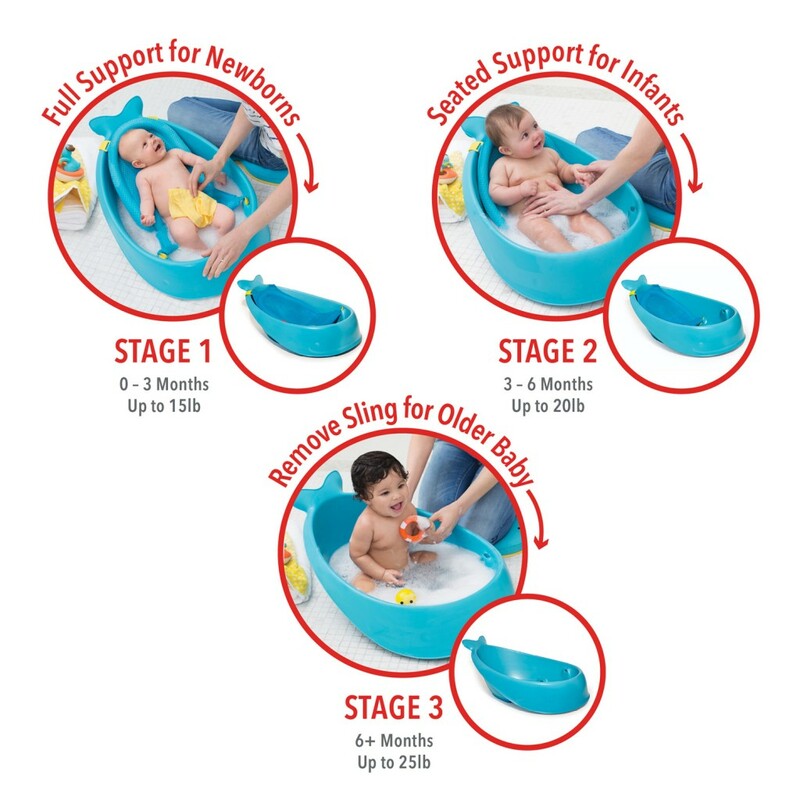 The non-slip surface is fantastic at preventing little tumbles, the easy drain plug makes emptying a doddle and the cute whale shape keeps bath time fun and enjoyable for all!